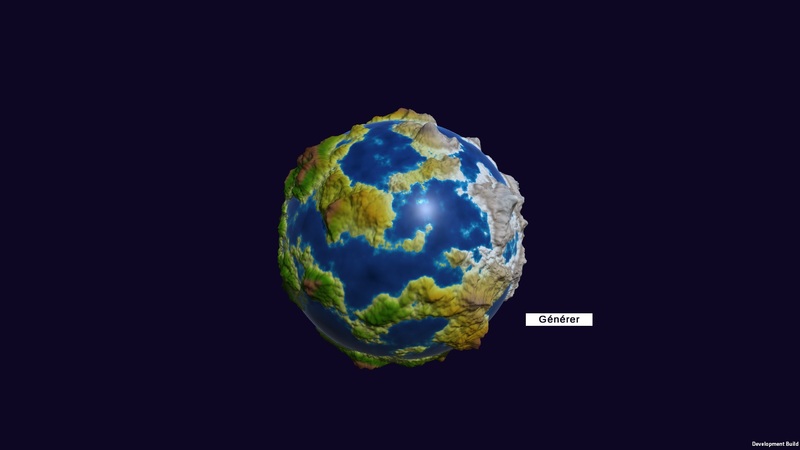 Test project for creating procedural (currently earth-like) planets using Unity 2018 (can be updated I guess). 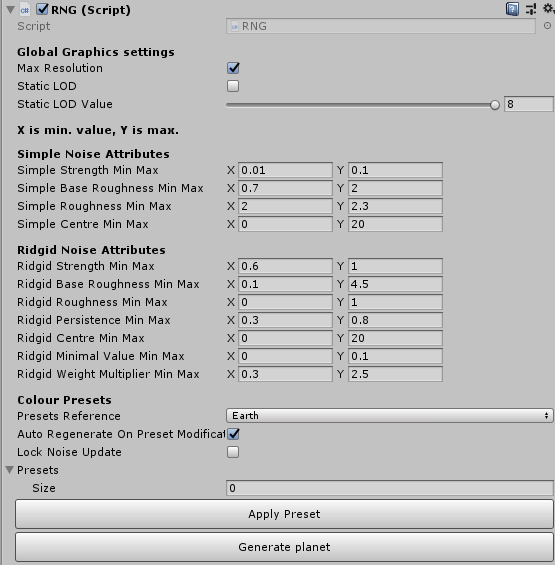 Mesh generation code is from Sebastian Lague (https://www.youtube.com/user/Cercopithecan), noise code from libnoise.net. All the rest is from me. The project has other files and disabled objetcs in the scene, just ignore them. You can download an example project to try it out with prefilled settings but a “Scripts” folder will be commited soon for project integration. Please consider that this is just a beta and you can update your own custom values for RNG inside the wiki. Also consider that I’m just 15 and a rather unexperienced developer, and that I know that my code is extremely unoptimised and slow.